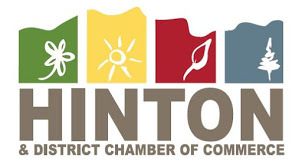 We have announced the nominees for the Hinton & District Chamber of Commerce Business Awards Gala for 2018. This is a real opportunity to celebrate those businesses that have gone above and beyond. A history of business excellence, promotions through extensive marketing programs, quality products and services, actively stands behind excellent employee-employer relationships. · The Wild Orchid Liquor Co.
· West Fraser Mills Ltd.
· Hinton Hill Freson Bros.
An individual which demonstrates exceptional customer services skills by consistently offering a high quality of service and by going beyond the call of duty to assist customers. · Carolyn Tough – Hinton Hill Freson Bros.
· Susan Bergquist – Hinton Hill Freson Bros.
· Shannon Scott – Hinton Hill Freson Bros.
· Mary Torres – Hinton Hill Freson Bros.
A business which demonstrates exceptional customer service by consistently offering a high quality of service and by going beyond the call of duty to assist customers. Physically renovated or restored the appearance of the premised where business is conducted in the last 18 months,in order to enhance or promote their business. Presented to a business owner that actively works towards making Hinton a friendlier, safer and more enjoyable place to live. This award identifies a business that has demonstrated a concern for the needs of the community. · Alberta Parks / Switzer Visitor Centre and Interpretive Programs. Presented to a business that has demonstrated an innovative approach to business growth, retention or comeback. EG: Introducing a new product line or service that was not previously considered part of normal business operations. An individual that has demonstrated leadership in organizing an event or completing a significant project in the past year that enhances our business community. Presented to a new business operating more than 1 year but less than 3 years that enhances the image of the Hinton business community and exemplifies the type of business practices that customers find most desirable. Thank you to everyone one who took the time to honor Hinton’s Business Community!